The Chicago Sign Painter: A few years back, we had the privilege of working with one of the most sought after video production companies in Chicago, Banner Collective. You have seen a lot of their work around Chicago, especially if you are a Chicago Blackhawks or Chicago Cubs fan, their work captures the sights and sounds of the games, players, stories of Chicago’s favorite sports teams. We approached them about helping us with a video, capturing a moment in the life of our company and the work of Ches Perry, the Chicago Sign Painter. The end result exceeded our expectations and is something we can show our clients, friends and family for a lifetime. 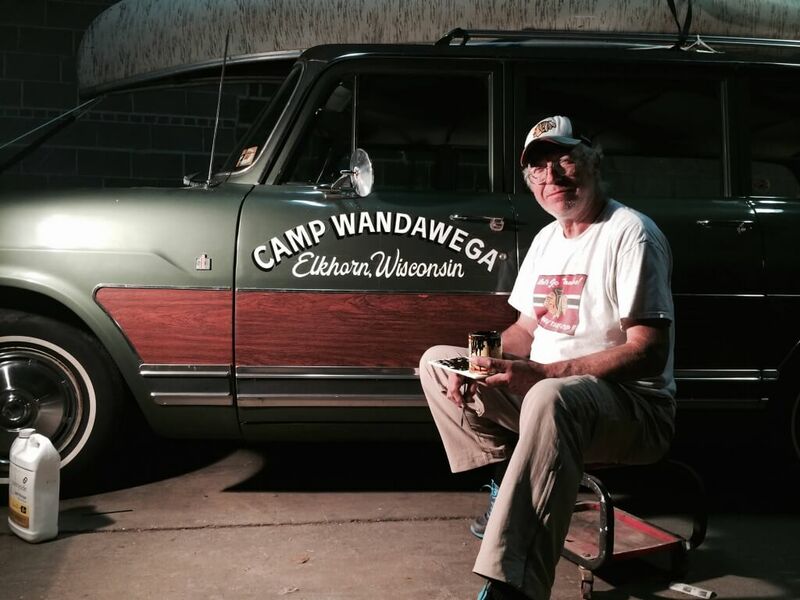 Chicago sign painter Ches Perry hand paints a vehicle for Camp Wandawega in Wisconsin. Ches got his start in Chicago and eventually ended up at a small sign painting shop in Evanston called Brownie Signs. One of their biggest accounts was Northwestern University, hand lettering almost all of their interior and exterior signage, this one client kept Ches busy for the first 10 years he was at Brownie. But times changed and vinyl signage became a cheaper and faster sign option, resulting in Ches loosing Northwestern and a majority of his clients. Fast forward to 2012, Right Way Signs is born to focus on sign painting once again and it quickly grows its client roster, sign products and services and its staff. Now Right Way employees 18 people, 4 of them sign painters and mural artists and they not only focus on sign painting projects in Chicago, but travel all over the country doing projects for clients large and small. Check out some of his work here. 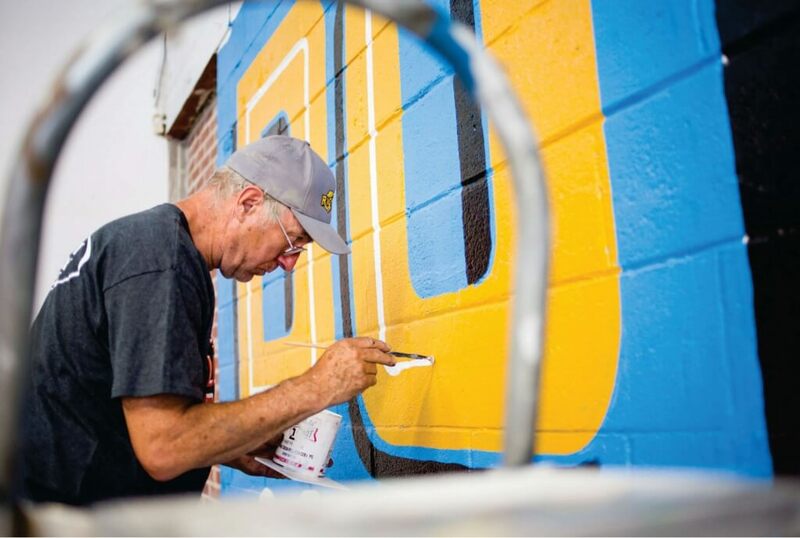 Chicago sign painter Ches Perry hand letters a brick wall as part of a social campaign for Microsoft. 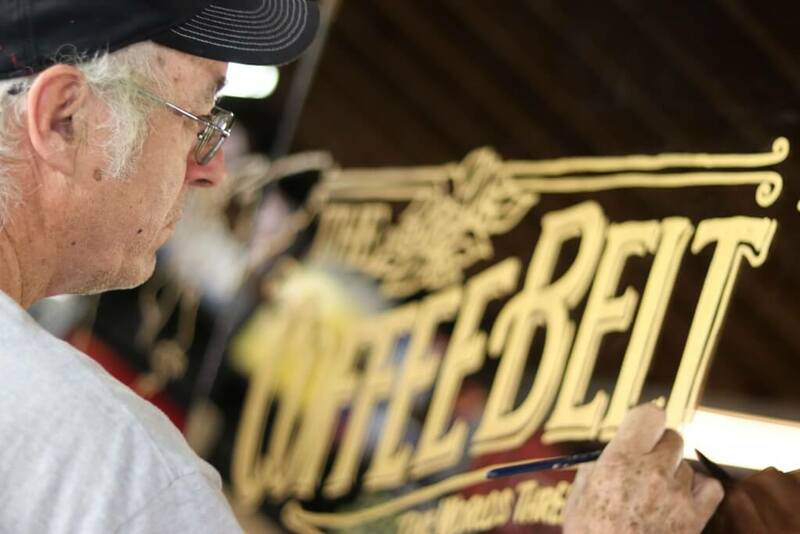 Chicago sign painter Ches Perry hand paints a custom mirror for Starbucks Coffee Company. Anyone that knows Ches personally knows that he loves sign painting. He tells everyone that he doesn’t see it as a job, but more of a hobby and at age 68 he sees no slowing down anytime soon. Enjoy The Chicago Sign Painter.